Firefighter killed responding to call on Christmas morning. 6abc.com report on December 25, 2018. 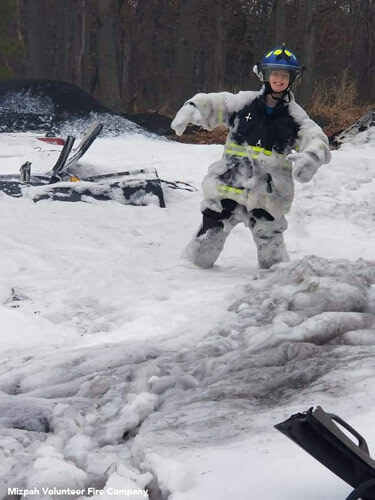 HAMILTON TWP., New Jersey -- A young New Jersey firefighter, described as vibrant, was killed in a crash while responding to a call on Christmas morning. Officers from the Township of Hamilton Police Department responded to the accident scene around 6:20 a.m. Tuesday. Police say 21-year-old Natalie Dempsey was driving a black 2001 Honda Accord when she lost control and drove off the roadway, striking a guardrail. Dempsey was pronounced dead at the scene. She was the only person inside the vehicle. Dempsey was the vice president and a member of the Mizpah Volunteer Fire Company 18-2. Mizpah, along with the Mays Landing Fire Department and Hamilton Rescue Squad, assisted at the scene. "Please keep her family in your prayers. We will keep you all updated on any funeral arrangements. This will be a funeral with full honors due to it being a line of duty passing," Mizpah Volunteer Fire Company posted to its Facebook page. The Mizpah Volunteer Fire Company is a sister company to the Mays Landing Fire Department. "To our brothers and sisters at Mizpah Volunteer Fire Company 18-2 we stand with you and we mourn with you during this dark hour. 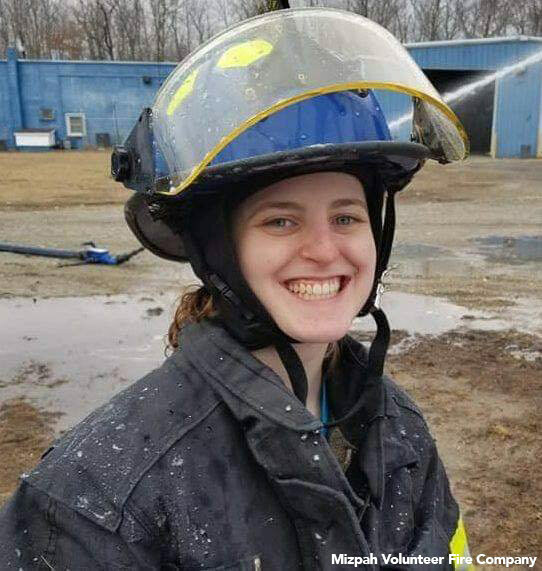 Natalie Dempsey was a vibrant young firefighter who always had a smile on her face, and she will be greatly missed," a message on the Mays Landing Fire Department's Facebook page read. According to the East Brunswick Independent Fire Company, Dempsey just turned 21 years of age earlier this month. 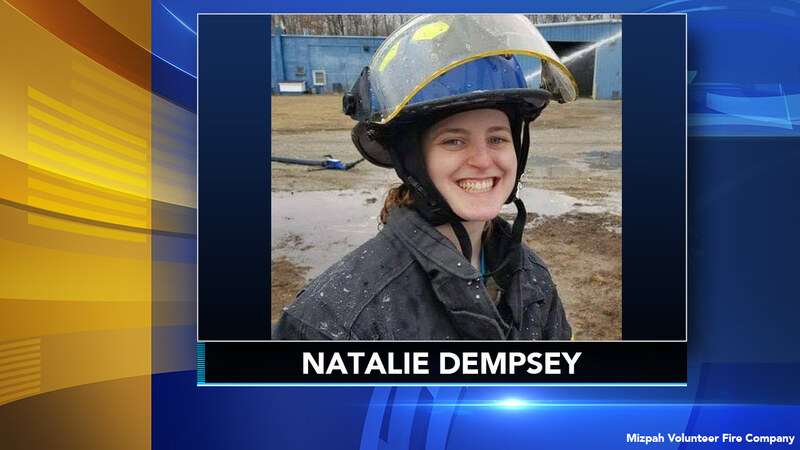 In their Facebook message, the Mays Landing Fire Department concluded by saying, "Natalie Dempsey, thank you for your service; we'll take it from here."